In our latest series, we’re getting to grips with the brands that you deal with every day. The ‘Five minutes with’ series will present a company with five short, sharp and to-the-point questions about who they are and what they do. This week we’re joined by SRAM European marketing director Gaetan Vetois. SRAM is a global manufacturer of high-end bicycle components. It was founded in Chicago, Illinois in September of 1987 with the invention of Grip Shift. Over the years following, Grip Shift became the favorite shifter amongst top mountain bike professionals. 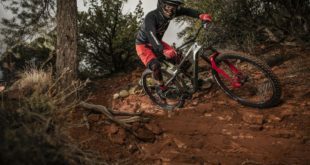 Through the early years and continuing through today, SRAM has focused on building its organic product development capability, but also has completed strategic acquisitions focused on amplifying this capability. In 1997 SRAM acquired Sachs Bicycle Components, in Schweinfurt, Germany and expanded its global reach throughout Europe. 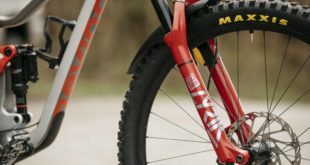 In 2002, they acquired RockShox, adding suspension components to its ever-growing product offerings. In 2004, both Avid and Truvativ were acquired, adding disc brake technology and crankset proficiency to its line. In the fall of 2007, Zipp was added to the mix bringing high-end carbon fiber wheelsets and accessories into the family. 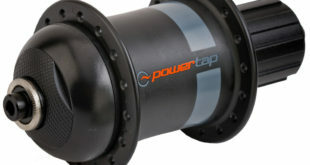 In May of 2011, the Power Measurement brand Quarq joined the team. Today, SRAM is the second largest manufacturer of bicycle components in the world. With 3500+ employees, and offices and manufacturing in 20 countries, SRAM is truly a world-class leader in performance bike parts. 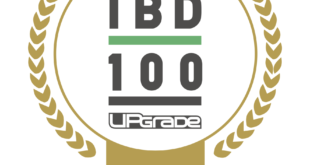 Were trying to become to most valuable and exciting bike components supplier/brand in the industry. We firmly believe in the power of bicycles and providing the most value and innovation possible through great quality designs. What gives us an edge is our global team; 3500 of the worlds brightest and most talented. We’ve also developed great relationships with our customers in their own backyards. 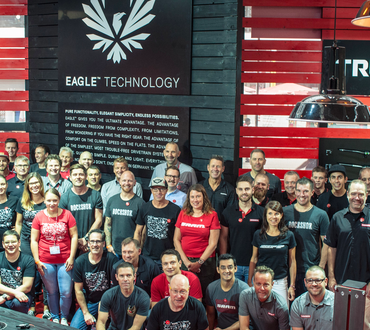 SRAM’s Eagle technology and eTap technology are clearly the most exciting technology on the market today. Beyond that, we really like what’s going on in many other categories of innovation, but due to confidentiality and the proprietary nature of invention we need to remain tight lipped about our opinions and commentary there.